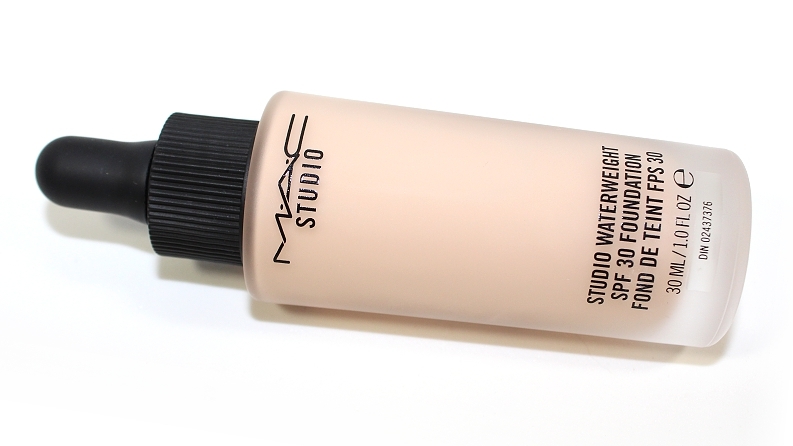 MAC Studio Waterweight SPF 30 Foundation (1.0 oz. 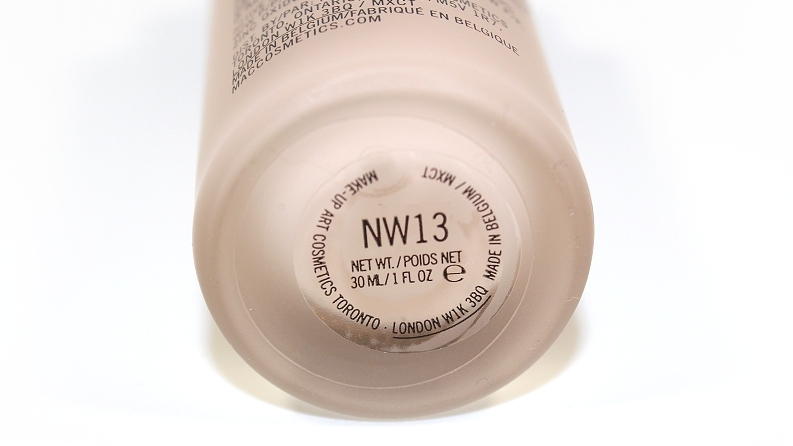 / 30 ml) retails for $33 USD ($39.50 CAD) and is available in 25 shades. It is said to be "a foundation that delivers color in an ultra-fluid, thin, elastic gel-serum formula." "Introducing an innovative foundation that delivers colour in an ultra-fluid, elastic gel- serum formula. With a virtually weightless feel, this hydrating formula is extraordinarily comfortable, lasting for hours. With stay-true colour and sheer medium buildable coverage, it softly blurs imperfections such as pores and fine lines. The unique dropper provides you with a drop of perfection. Use the new 196 Slanted Flat Top Foundation Brush for a naturally flawless finish." 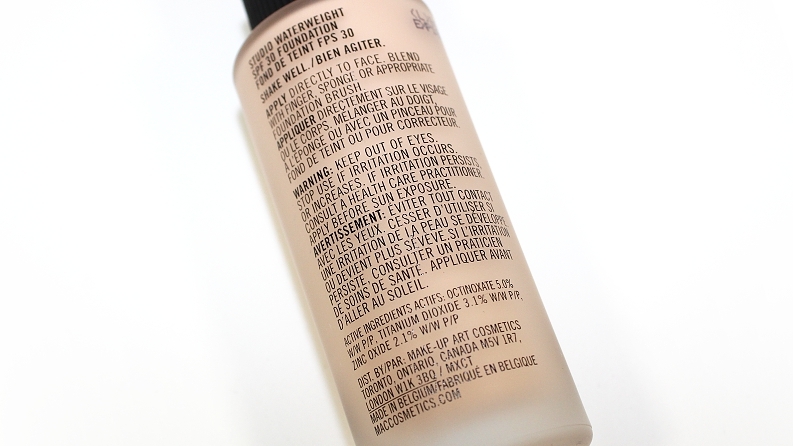 The packaging is a frosted glass bottle with a dropper "applicator" that disperses the product easily. The formula is a thin, liquid consistency—as serum foundations tend to be—which feels lightweight, smooth on the skin and helps blur pores, fine lines and imperfections. The finish is very natural, not satin or dewy, it just leaves your skin looking like perfected skin. The coverage of this foundation is very controllable, which is always a bonus. It can be applied more sheer to even out redness or discoloration, or it can be applied heavier and built to a medium coverage at most with multiple layers. In the end, my freckles were still visible, but any redness and imperfections I had prior to application were unapparent—even the stubborn pores on my nose that we all have on closer inspection were less noticeable! Application is easy and fool-proof with whatever method you prefer to use. Personally, I prefer applying the foundation directly to my face using my fingers, as it provides the most coverage. Brushes work great for really buffing and working the product into the skin—it's very easy to dab/press the brush, rather than using brushing/circle motions, for a heavier coverage. Sponges, like the BeautyBlender, also work wonderfully to apply, but I feel I end up using a lot more product that way. This foundation is also more forgiving towards dry and/or acne prone skin, as it does feel moisturizing when worn, but not enough where combination or oily skin types should steer clear. Despite having extremely dry skin/areas, my skin felt more hydrated once I removed my makeup at the end of the day. 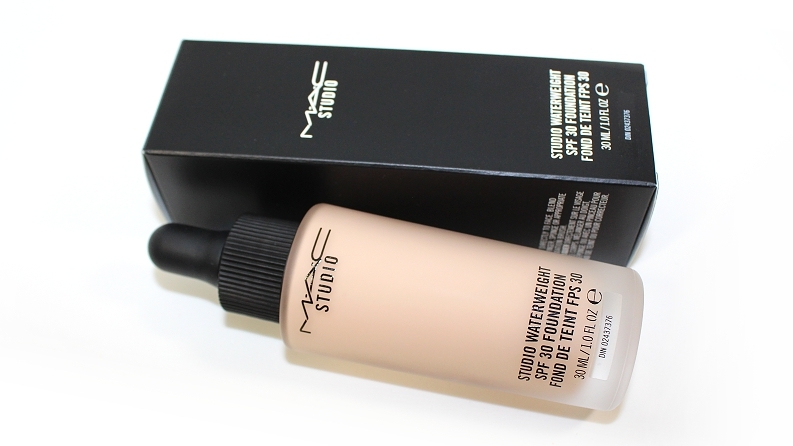 This foundation also didn't leave me oily on my nose or t-zone throughout the day. Of course, moisturizing and exfoliating your skin prior to application always helps—especially if you have dry, problematic skin. Since this foundation does seem to become "one with your skin" once it has had time to absorb and set, powders and concealers layer well without moving or disturbing the product. Although it feels weightless and looks natural on it's own, you will want to pair it with a setting powder or powder foundation, just to help prevent the foundation from transferring or moving throughout the day. The foundation was comfortable and wore well over time—it was only around the +7 hour mark that I really noticed the product start to break down and show signs of wear around my nose and expression lines—which happens with any and every product I put in those areas, it's just how my skin works. 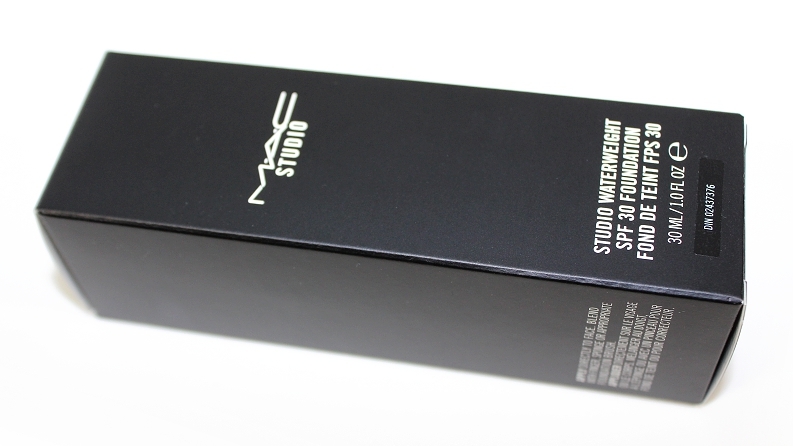 Overall, this is a nice foundation and it's bound to work with any skin type. The shade selection is great, it leaves such a natural finish to the skin and especially for those who are a fan of tinted moisturizers or BB/CC creams, the coverage will likely suit your needs. I usually prefer a bit more coverage on most days, but that's nothing a powder foundation can't fix! 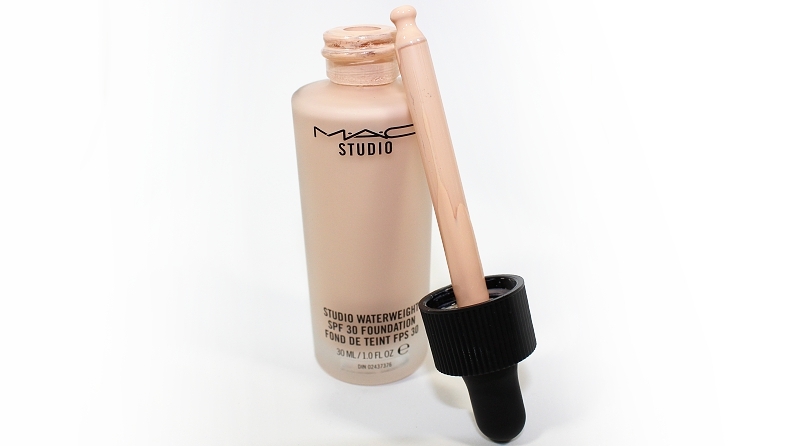 Whether you're in the market for a new foundation, you're already a fan of the MAC Face and Body or you've just been interested in serum foundations, the MAC Studio Waterweight SPF 30 Foundation is worth checking out!